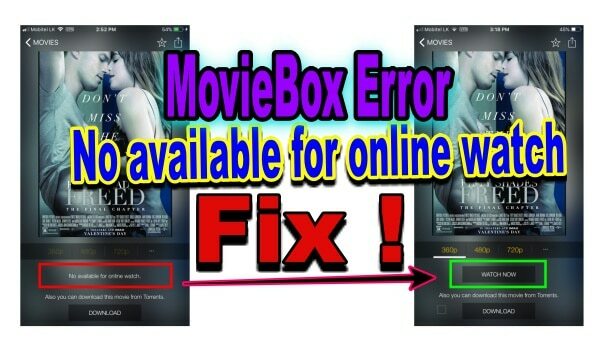 How To Fix Movie Box Error "No available for online watch" on iOS (iPhone / iPad) ? 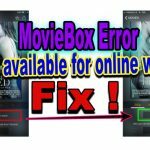 Home › MovieBox Error › How To Fix Movie Box Error “No available for online watch” on iOS ? Hi, I noticed this was posted in April 2018 and was wondering if there have been any updates since. 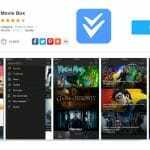 I have followed all your instructions and my Moviebox app now displays no Movies and TV Shows when using the US VPN as advised. Even if I change the location to a different country nothing works. And I have tried shutting the MovieBox app down and relaunching it after every VPN change. I have tried deleting MovieBox and reloading it as advised, then setting the VPN and launching MovieBox but still nothing. But when I turn the VPN off I can see the movies and TV Shows appear again. I live in the UK and even setting the VPN to Uk does not work. 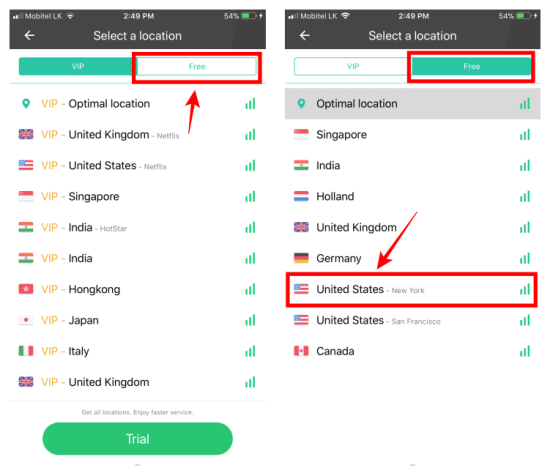 None of the countries listed in the “Free VPN” tab work unless the VPN is turned off but then I get the same “No available for online watch”. 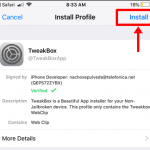 My device is not jailbroken. If you live in UK, you may not get this error. 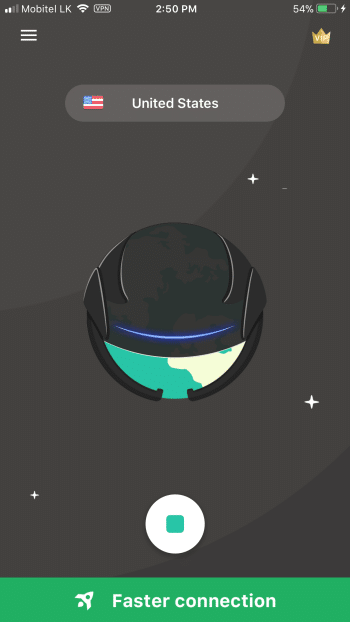 This hack not for the Movie Box users in USA or UK because servers are working in your areas. 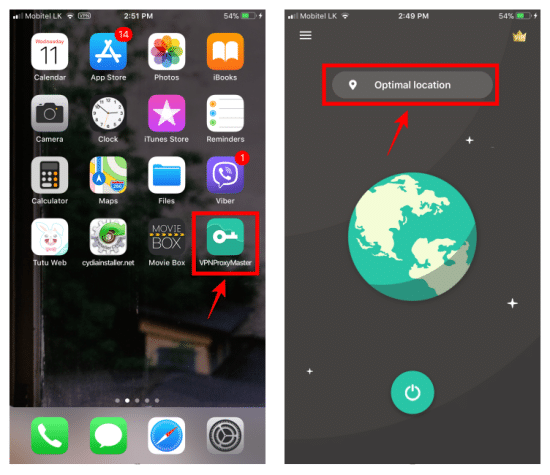 Just remove MovieBox app and VPN you have already installed and reinstall only the fresh copy of MovieBox after rebooting your device.